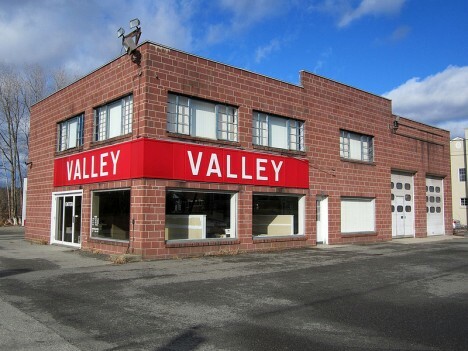 The showroom floors are bare and the alluring aroma of new car smell has long since dissipated from these dozen down-in-the-dumps abandoned auto dealerships. 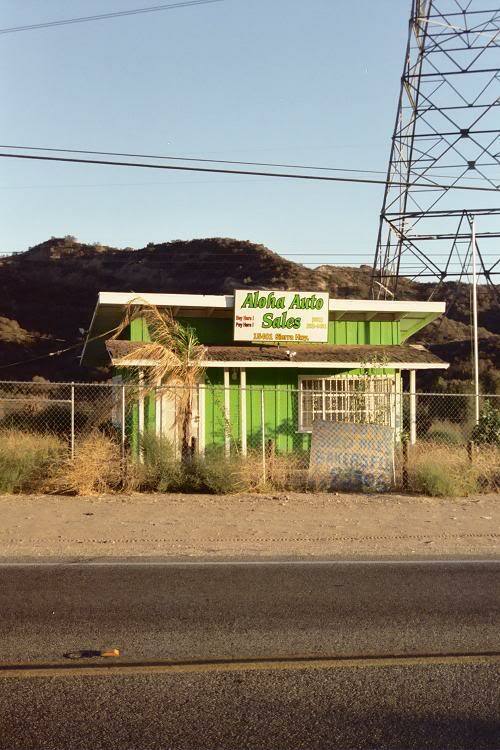 “I say hello you say goodbye,” to quote The Beatles, also suits this lonely and abandoned car dealership somewhere in Hawaii. That’s because “aloha” means both hello or goodbye in Hawaiian, depending on the context in which it’s used. In the context of the image above, we’re guessing it means goodbye. 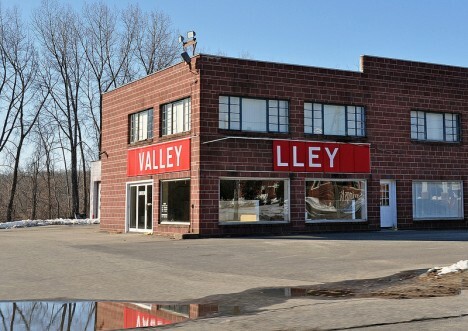 The former Valley Dodge on Route 202 in Wellsville, Connecticut, was one of many automobile dealerships victimized by the Great Financial Crisis of 2008. The telling pair of images above succinctly document the decay of the abandoned dealership in just two frames. Kudos to Flickr users Greg (63vwdriver) and MJBarnes for posting the images taken on December 11th of 2012 and March 9th of 2013, respectively. Beulah, North Dakota’s motto is “Small Town Appeal… Big City Looks” and the tiny (pop. 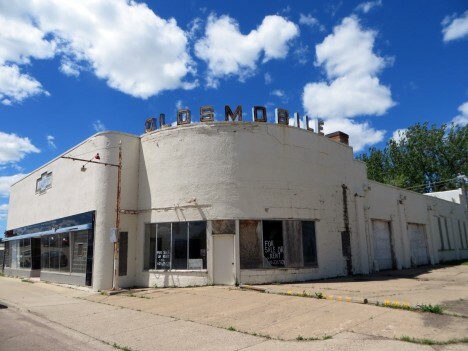 3,304 in 2013) town’s former Oldsmobile dealership certainly looks like a big-city operation. Unfortunately for Beulah, neither its appeal nor its looks were enough to keep the local Olds store afloat when GM pulled the plug on the brand back in 2004. These days, the dealership quietly deteriorates through bone-chilling prairie winters and pleasant, Simpsons-sky days like the one above, perfectly captured by The Daily Rant. 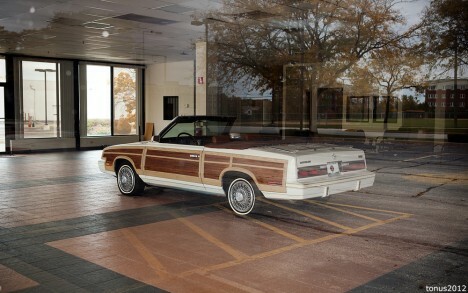 Call it a modern mystery: a mid-eighties Chrysler LeBaron convertible sits in solitary splendor (not counting the flat tires) amidst the gathering dust and empty soda cans inside an abandoned suburban Chicago auto dealership. 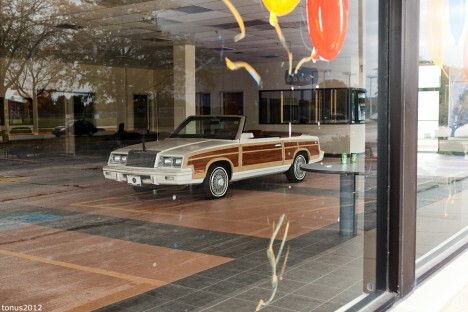 That was in 2010… two years later, the author of the above photos returned to the row of deserted dealerships to find the lonely LeBaron still in place, tires slightly flatter, unmolested by all but the inexorable passage of time. We have to assume K-cars are even more unpopular now than they were then.